Vladimir Putin, the president, prime minister and then again the president of Russia, turns 64 on Oct. 7. RBTH recollects some of the more unusual gifts given to Putin during his years in office. Putin was at the at the APEC summit on the Indonesian island of Bali during his 61st birthday in 2013. The summit's organizers decided to congratulate the President of Russia at the highest level. Indonesian President Susilo Bambang Yudhoyono picked up his guitar and personally sang the most legendary song of all time, "Happy Birthday to You." The rest of the APEC leaders, including Chinese President Xi Jinping and South Korean President Park Geun-hye, sang along and clapped. In response, Putin thanked Yudhoyono in Indonesian, noting that the president performed the song "excellently." According to Putin, he celebrated his birthday on Bali quite modestly – he only had a shot of vodka with Chinese partners late in the evening. 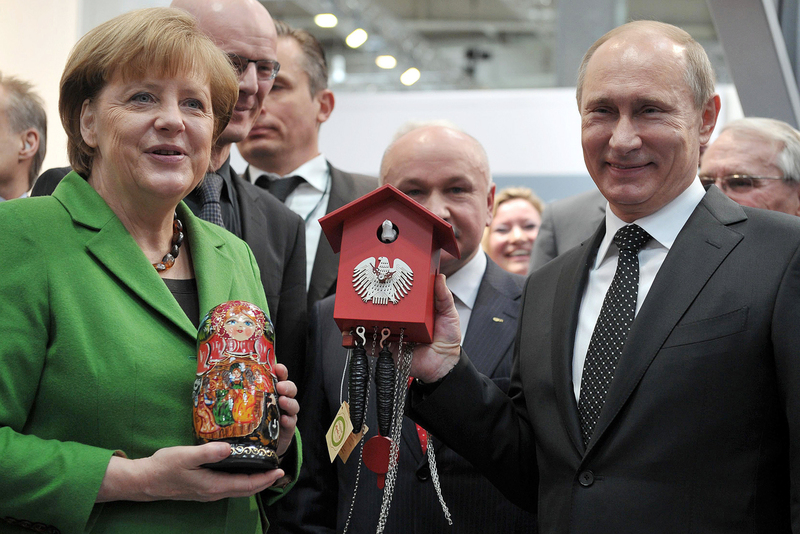 At the opening of a 2013 industrial innovations exhibition in Hanover, German Chancellor Angela Merkel gave Putin a cuckoo clock with the image of the German coat-of arms eagle. However, the new clock did not prevent the Russian leader, known for his lack of punctuality, from showing up four hours late for a meeting with Merkel the following year. According to German Gref, head of Sberbank and personal acquaintance of the president, Putin's tardiness is not out of disrespect, but rather results from his desire to listen to any person to the end, even if it disrupts his schedule of meetings. Bahrainis, like many in the Middle East, are savvy about high-status gifts. When the King of Bahrain Hamad bin Isa Al Khalifa came on a working visit to Moscow in February 2016, he brought a special gift for Putin: a sword of Damascus steel with a handle and sheath made of precious metals, called the Victory Sword. The king presented the sword to Putin during a personal meeting, and the president quickly reciprocated. King Hamad was given a thoroughbred Akhal-Teke stallion named Khadzhibek. A blade in exchange for a horse – powerful people have been exchanging such gifts since the Middle Ages. Putin himself also repeatedly accepted gifts of horses, as well as dogs and even a tiger. Horses were given by leaders of Kyrgyzstan and Turkmenistan, and once by King Abdullah II of Jordan, who offered up three at once. Putin also owns a horse from to the world's smallest breed. In 2005, at a hippodrome in Kazan, he was presented with a Falabella miniature horse, just 22 inches tall. The animal was named Vadik. His first dog, a Labrador named Konni, was presented to Putin as a gift in 2000 by Sergei Shoigu, then minister of emergencies and current defense minister. Despite a friendly and sociable reputation, Konni scared Angela Merkel during an official meeting with Putin in 2007. The Russian president later apologized for bringing his canine companion along, after learning that Merkel was afraid of dogs. In 2010, a puppy named Buffy was presented by the Bulgarian Prime Minister, and in 2011 another dog was sent by the governor of the Japanese prefecture of Akita, in gratitude for the assistance provided in the aftermath of the Fukushima disaster. In response, Putin sent to Japan a Siberian cat, whom the governor called Mir, the Russian word for "Peace." In 2008, Putin, who was then prime minister, was given a Siberian tiger cub for his birthday. Putin acknowledged that it was a most original birthday gift. But no one has yet thought to give him a bear, perhaps because Putin's predecessor, Boris Yeltsin, was not happy about such a gift. Vladimir Shevchenko, director of the Kremlin protocol office under Yeltsin, recalled that upon learning that a bear was given to him, the first president of Russia said, "Are you crazy?" In March 2016, Putin inspected a new defense plant in Nizhny Novgorod, which produces components for anti-aircraft missile systems, such as the S-400 and the planned S-500. He was given a copy of the on-switch for the Nebo-M (Sky-M) anti-missile radar station. "This is the key to a peaceful sky," said Yan Novikov, CEO of state-owned Almaz-Antey arms company, handing over the gift. "Only the Lord has keys to a peaceful sky," the president said sternly. "But this one will come in handy."